Cincinnati’s second annual Day To Dream event has given 50 local children in need new beds, blankets, and the chance at a better night’s sleep. Before Day to Dream, donation recipients said their children were sleeping “on the floor or piles of clothing,” abysmal sleeping conditions by any standards. To learn more about the initiative to help Cincinnati kids get the slumber they deserve, I spoke with Skip Tate, St. Vincent de Paul’s Director of Community Relations. He told me that helping underprivileged kids is a community effort. These are kids who didn’t have beds to call their own, and the more people hear about it, the more they want to get involved. The focus is on the beds, yes, but Morris provides sheet sets, blankets, comforters and pillows. A local bank donated backpacks with personal hygiene items. 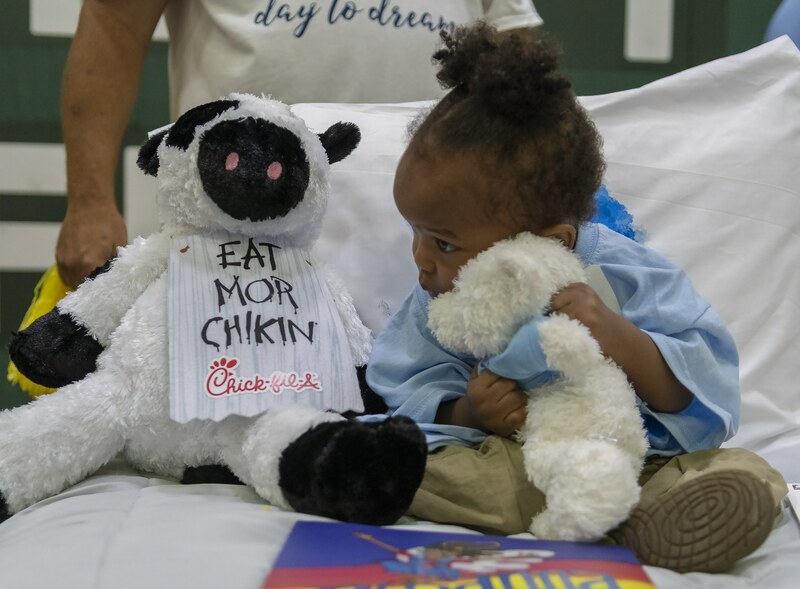 Chick-fil-A fed them lunch and donated stuffed animals. We donated books to help them fall asleep. Most of us assume that everyone has access to these things, but that’s just not the case. After donations were collected, Tate said that volunteers from SVDP went to the families’ homes to deliver the bedroom furnishings, all of which were donated by Morris Furniture. I spoke with Morris photographer Kristen Oldiges, who said that though the company has been donating funds to different organizations for years, it recently decided to expand its efforts. Oldiges told me that Day To Dream has allowed Morris Furniture to show the community how many children still need help. This coming October, the company will partner with Furniture Bank of Central Ohio to host the first-ever Day To Dream event in Columbus. According to Tate, Day To Dream is gaining popularity and will continue to provide more children with better sleep every year.